Has rotate 360 degrees design and based on the principle of centrifugal force,assists to safely and effectively wash contaminants from fruits, vegetables and will separate the water or liquids from your salad,vegetables with little to no effort. When you\'re not spinning,the basket can be used separately as a colander or vegetables basket. Non-slip design and wide base keep bowl steady on your countertop. Allowing for one-handed operation and a built-in brake button stops the Salad Spinner for unloading. It super easy to clean,has no any dead angle for germs growth after long time use than complicated design. Material: ABS; Capacity:5L, Size: 22x24.5cm/8.7x9.6inch Large capacity allows you to prepare big salad for a big family dinner or party at a time. 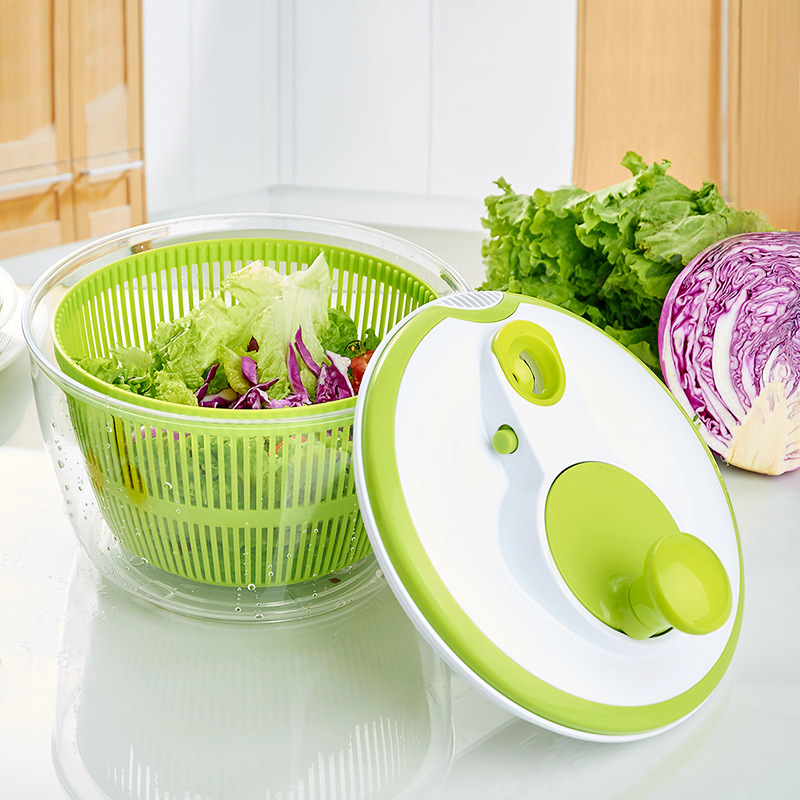 The salad spinner uses base container or storage bowl as a mixing, serving.